Desserts for special occasions available with a minimum of one week notice. On Dana Street, in the heart of Portland's historic Old Port, Vignola Cinque Terre provides a vibrant atmosphere with a rustic feel. Vignola (est. 2006) and Cinque Terre (est. 2001), originally running as two separate restaurants, joined forces to create an Italian inspired wine bar and dining experience. Cinque Terre was one of the founders of Portland's farm to table movement. We still source fresh produce, make our own honey and raise pigs on Grand View Farm in Greene, Maine. We pride ourselves on sourcing all available products locally and believe it not only makes sense - but tastes better too. We make what we can: we butcher fresh whole animals, create charcuterie, make fresh pasta, bake breads and craft our own desserts. Sauces and dressings are prepared daily using fresh herbs from our farm. Our wine list is famous for a variety of old world Italian wines to perfectly pair with each carefully crafted dish. Born in California and raised in Maine, Exec. Chef Mitchell Ryan began his career cooking at a catering company in Brunswick. After earning his culinary degree, he joined the team at Cinque Terre in May 2011. Following the merger with Vignola, Chef Ryan steadily rose to the top training under farm to table master Chef Lee Skawinski. He was promoted to Executive Chef in August 2016. Chef Ryan's time in Italy with farmers and producers affirmed his commitment to the Slow Food Movement and its tenets of fresh, locally-sourced ingredients. Grand View Farm is owned and operated by Dan and Michelle Kary. The pair are also owners of Vignola Cinque Terre. This historic farm in Greene, Maine has had its land cultivated since the 1780s and grows produce and meats exclusively for Vignola Cinque Terre. In season, the farm’s three acres of cultivated gardens and orchards supply over a quarter of the fresh fruits, herbs, and vegetables used by Chef Ryan and his staff at Vignola Cinque Terre. The farm is a tremendous resource for the restaurant, where the staff can interact with the foods they serve and understand what it takes to grow them. The Karys are passionate about growing their own food for the restaurant. They believe that the freshness and variety of the farm’s produce creates not just a meal but a culinary experience. Grand View Farm is still growing with new additions each year. A year ago, bees were brought to the farm to produce honey. Only a year later, the honey has won recognition as "Best Honey" in a blind taste test conducted by the Maine Beekeeper's Association. The farm now also has a greenhouse, which allows Grand View Farm to supply fresh herbs & produce to the restaurant year round. Vignola Cinque Terre is pleased to work with you to plan your perfect event. Our gorgeous Cinque Terre room provides an elegant space on both our lower and mezzanine levels. Our team is uniquely talented to tailor the best food and drink for your guests. Thank you for contacting Vignola Cinque Terre! 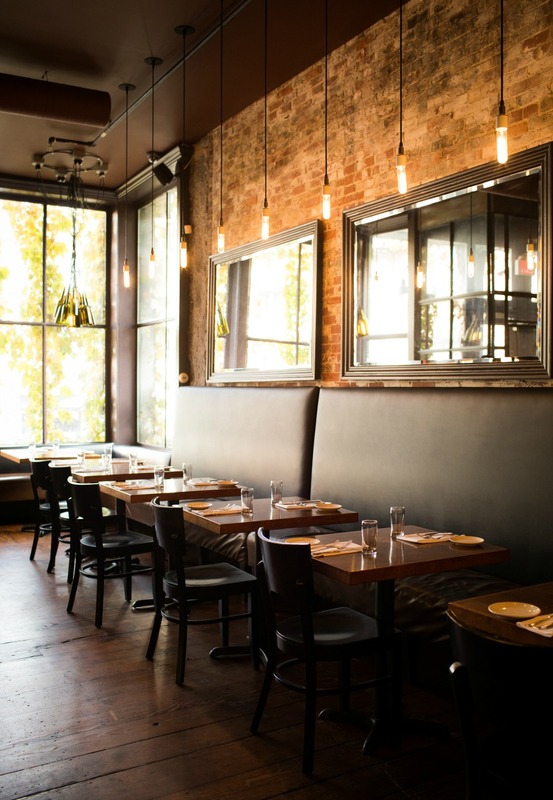 Top 10 Farm to Table Restaurants Relish Magazine, Jennifer M. Wood, a food writer and travel blogger in New York City, N.Y.